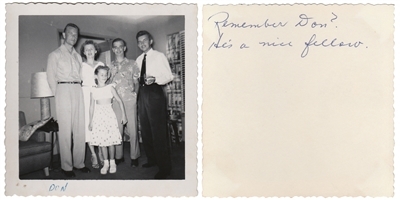 Captioned "Don" on the front and "Remember Don? He's a nice fellow." on the back.